A friend of mine at work recently showed me a video of an RC helicopter doing things that I did not think were possible. This lead me down a rabbit hole of videos and I’ve compiled some of my favorites here. This is the video that introduced me to RC helicopter stunt-flying. It’s so ridiculous, when I first saw it I thought it was fake. The pilot in the above video is Evaldas Černiauskas, a 26 year old Lithuanian student. His site Evaldas-RC has his background information, what he’s up to now, and a slew of cool videos. Besides the music, this next video of his is rad. How could you not like fireworks combined with RC helicopters? 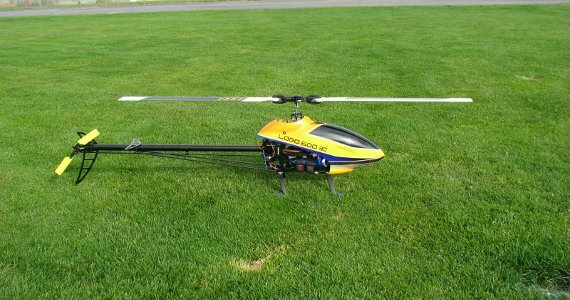 Carl Groover seems to be another big name in the RC helicopter world. After looking around his site, I found this gem. Check out Carl’s website and YouTube page. Last but not least, this post wouldn’t be complete without MY RC helicopter video.